If you’re seeing a bubbling or foaming on the surface of the pond, more often at the base of your waterfall-this generally means there’s an excess of proteins or dissolved organics in the water. These are a completely normal part of the biological process and a common occurrence in the spring when the pond balance has not yet been established. Their origin stems from a few areas. 1. Ensure adequate filtration is present. 2. Make sure you don’t have too many fish for your pond size. 3. Don’t overfeed. Only feed them what they can eat in 5 min. Uneaten food will add to the organic load, same with fish waste . 4. Use beneficial bacterial such as Microbe Lift PL. This will help breakdown organics. 5. Partial water changes can help as well. 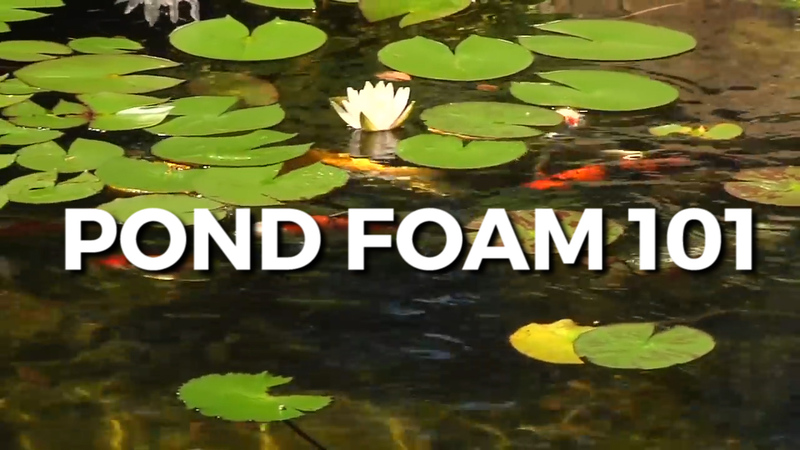 For additional information on foam and dissolved organics, please don’t hesitate to call. I’m Joe from webbsonline, talk to you then.